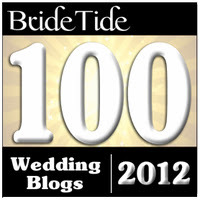 Relentless Bride® Weddings, Wedding Planning, Life & Marriage: Guess who's Married? Congratulations, Amy Jean!!! So happy for you. Can't wait to read more about your big day. You look beautiful!! I'm glad your day finally arrived. You worked so hard, and it shows. You look marvelous. YAY AMY JEAN!!! YOU LOOK GREAT! Yay! I bet it is such a relief! Hope it was an amazing day...and all you hoped it would be!!! Congratulations !!! You look so pretty!!!! You look sssooooo stunning! I got butterflies in my stomach when I saw your photo! Congratulations to both of you! 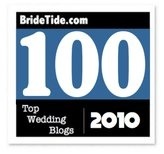 Doesn't wedded bliss feel amazing!? congrats to you and the Mr.! Congrats! Congrats!! Can't wait to see more pictures! Congrats to you! Hope you enjoyed every minute of you big day!! CONGRATS!!!! Can't wait to hear more about it!!!!!!!!!!!! CONGRATS!!!!!!!! Dyyyyyyying to see more pics!! You look gorgeous!!!!! Yaaay! Congrats! Love this pic. Even though it's blurry to look amazing! Being relentless definately paid off for you. 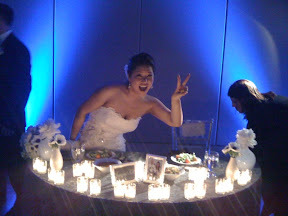 EVERYTHING at this wedding was amazing...the flowers, the lighting, the candy, the music...everything. What I'm sure was painstaking decision making on your part translated to a seamlessly beautiful day. You should be VERY proud of what you accomplished!!! You look amazing! I am really glad you had such an incredible time! You look beautiful and joyous! So many congratulations!